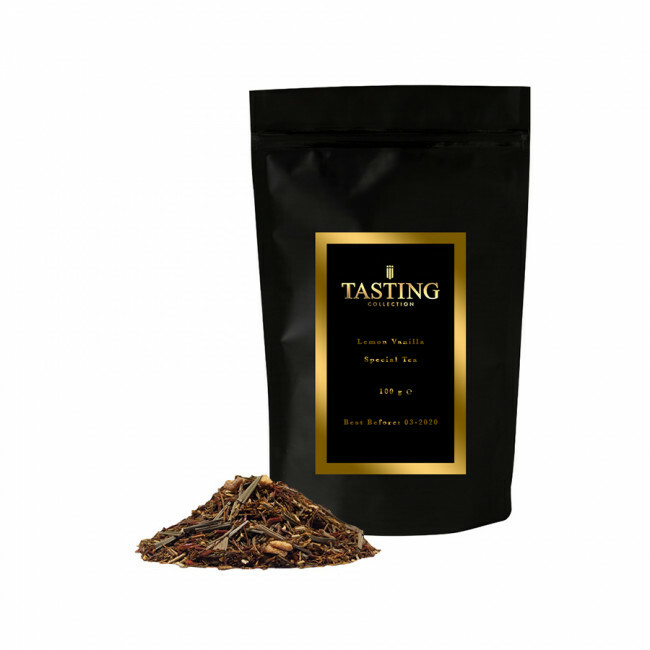 A green rooibos tea with fresh lemon and irritate soft creamy vanilla. A true classic for years. Green rooibos tea, lemongrass, lemon pieces and flavor.